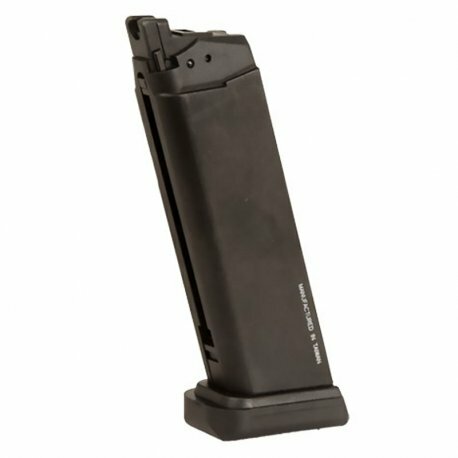 KWA factory original ATP 23-round double stack gas magazine, for the KWA ATP [Adaptive Training Pistol] gas blowback pistols. Durable metal construction with reinforced feed nozzle. Hard plastic protective bottom magazine plate. This magazine is designed for KWA's patented NS2 System.